The 25 years since the fall of the Berlin Wall have been characterised by national, economic, political and territorial upheaval. Migration and immigration, the uidity of boundaries, global and national identity and the establishment of shared social rights have placed huge emphasis on ideas of citizenship: what is means to participate, to have responsibilities and how these are manifest as space. 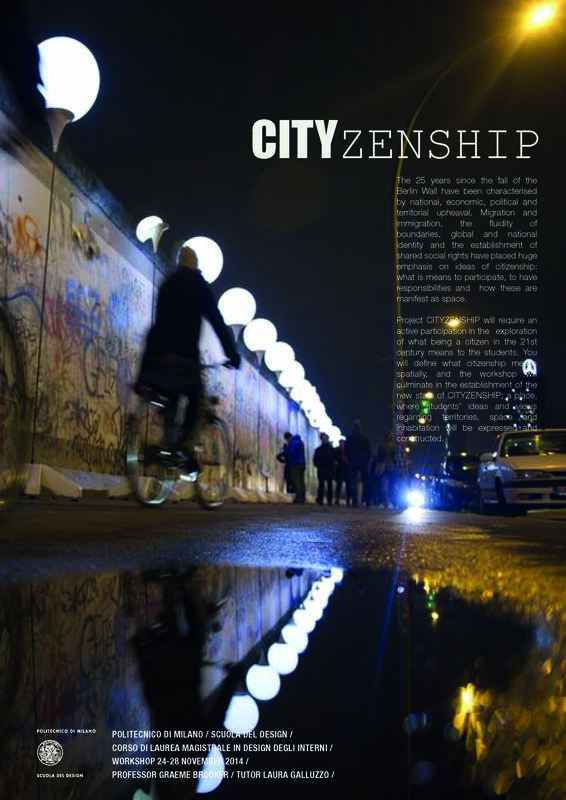 Project CITYZENSHIP will require an active participation in the exploration of what being a citizen in the 21st century means to the students. You will dene what citizenship means spatially, and the workshop will culminate in the establishment of the new state of CITYZENSHIP; a place, where students’ ideas and views regarding territories, space and inhabitation will be expressed and constructed.